Although thousands of men and women suffer from bladder-related health issues, it still continues to be a topic that isn’t often discussed. 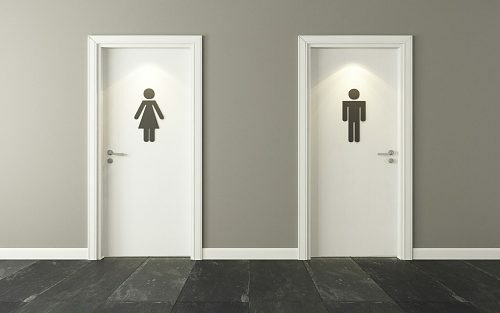 A survey titled Peehavior found that 62 percent of women aged 40 to 65 don’t think about their bladder health at all. This is quite unfortunate because many women are suffering from leaks and incontinence yet aren’t speaking up about their issues, even though there are things that can be done to improve bladder health and overall quality of life. Other results from the survey uncovered that 86 percent of women have peed elsewhere than a bathroom – top places being bushes, the woods, roadside, the ocean, a parking lot, and unfortunately, their pants. Thirty-nine percent of women admitted to not confiding about their bladder problems to someone else. So, with all this going on in the world, why aren’t we talking about it? For starters, it seems that many of us take our bladder for granted as peeing is such a natural process. But our urinating habits can reveal a lot about our health. For example, peeing more than eight times a day – without increasing your fluid intake – is not normal and could be a symptom of an overactive bladder. Overactive bladder (OAB) affects nearly 46 million Americans over the age of 40, with the majority of sufferers being women. Symptoms include frequent urge to urinate and even possible leakages. Unfortunately, many people consider this to be a “normal” part of aging, but it isn’t. You need to know that bladder problems aren’t a result of aging and that it’s perfectly okay to be open and discuss them. More often than not, there are many others that are suffering from the same problems as you. Instead of suffering in silence, reach out to others for support and get through it together.